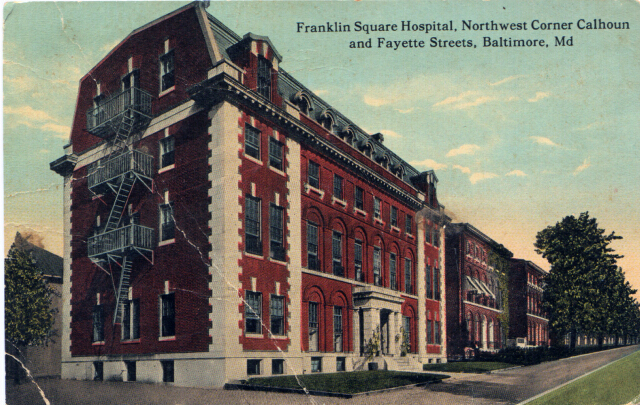 Franklin Square Hospital, Northwest Corner Calhoun and Fayette Streets, Baltimore, Md.. Private collection. Notes: (Incor. 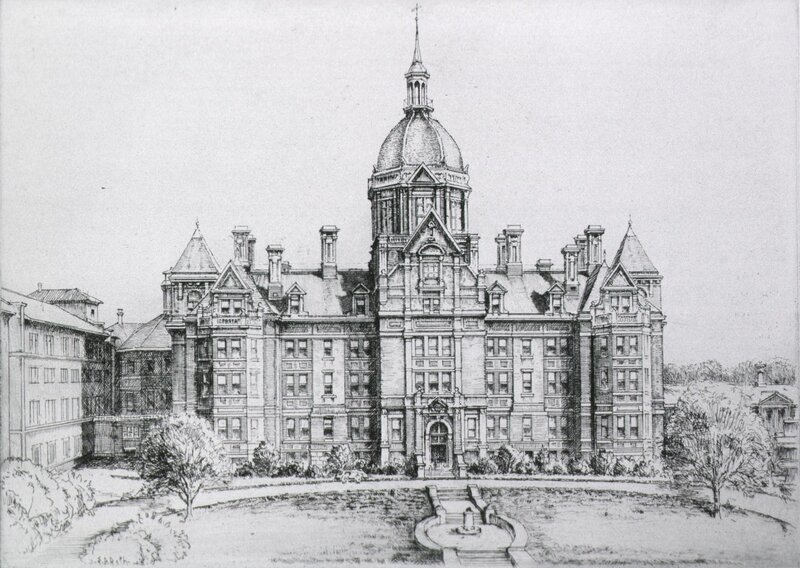 1901), outgrowth of former National Temperance Hospital of Baltimore (Incor. 1898), northwest cor. Calhoun and Fayette Sts. A general hospital for both private and free patients. There are 16 beds; board, $5 to $20 a week. Free patients must be approved by hospital committee. Dispensary attached. Treatment given to sick and injured of Maryland; free treatment, on condition that classes of Maryland Medical College may attend. The name means that cases are treated with as little use of alcoholic stimulants as possible. Management.–Under the faculty of the Maryland Medical College. Receives State appropriation (1901) $1000. Capacity, 75 beds. Notes: Amounts appropriated for state-aided institutions, from the Maryland Manual, 1921-1922. Notes: The Franklin Square Hospital has purchased a 41 1/2-acre site in Baltimore county for a proposed modern general hospital of approximately 300 beds…. Notes: Franklin Square Hospital will move to eastern Baltimore County soon to serve 165,000 people in Dundalk, Essex and Middle River area….